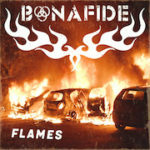 Their music reflects the dark side of Heavy Metal with Thrash-oriented guitar riffs,fast solos, fire-breathing vocals and a massive-modern-killer ground-breaking wall of sound; the four-piece line-up delivers an extraordinary proof of uplifting catchy Metal, always acclaimed by the fans and the media as “Judas Priest meets Megadeth” ! 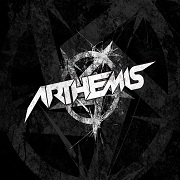 Since 2001, Arthemis have released 7 full-length albums worldwide. Showing an incredible stage attitude and a true-powerful wall of sound that makes their show astonishing and very loud, Arthemis have played hundreds gigs, tours, festivals around the world (Bloodstock Open Air UK, Metalcamp, Hard Rock Hell UK, Gods Of Metal, Hammerfest UK, Hellfire Festival UK, Evolution Festival, Hard Rock Hell Ibiza, Japan Headlining Tour, DOA (Dean Guitars Festival) UK, Germany Headlining Tour, UK co-headlining tour….& many more), especially in Japan, United Kingdom, Germany, Italy, Slovenja and many more, supporting & co-headlining with several famous bands of the Heavy Metal scene such as Dragonforce, Adrenaline Mob, Manowar, Children Of Bodom, Cradle Of Filth, Die Apokalyptischen Reiter, George Lynch (Lynch Mob), Within Temptation, Evile, Freedom Call, Alestorm, Reb Beach (Whitesnake), Micheal Angelo Batio, Kiko Loureiro (Angra), Blaze (ex-Iron Maiden), Glenn Hughes and many others. The band has also appeared in several Hard Rock / Heavy Metal SKY TV Shows as “Rock TV Sala Prove”, “Rock TV Database”. Currently the band ARTHEMIS is on tour promoting their 7th album titled “WE FIGHT”, released in Japan through Hydrant Music / Burrn! 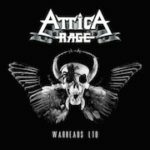 Records on 13th June 2012 and available in the rest of the world on cd and digital download from 27th AUGUST 2012, released through OFF YER ROCKA Records / CARGO Records. ….New tour dates will be announced soon! !